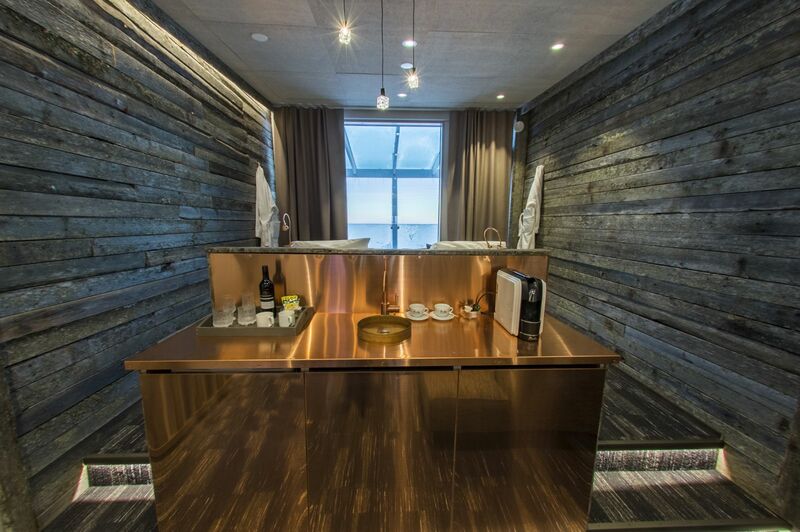 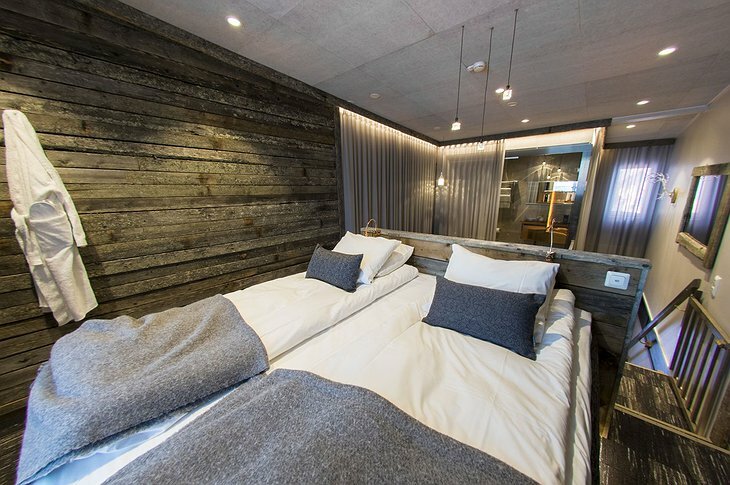 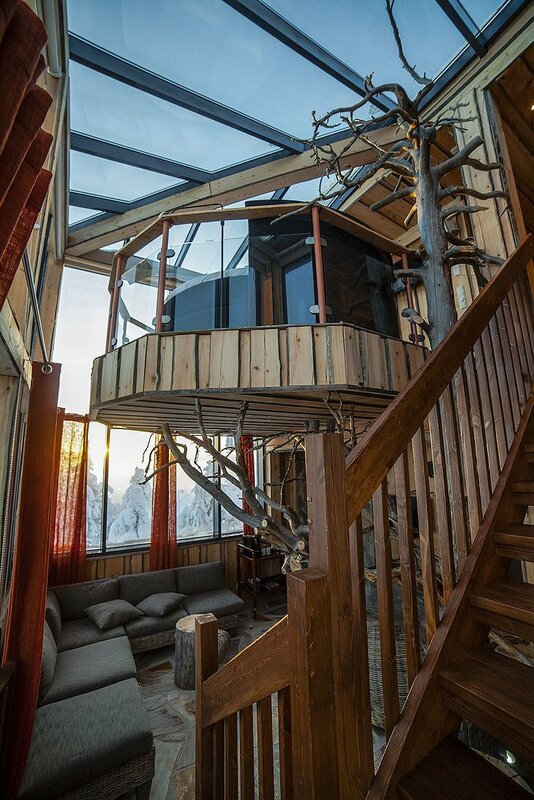 Voted Finland's Best Ski Boutique Hotel, the Iso Syote Hotel is a magnificent place to stay for those traveling to Lapland, Finland. 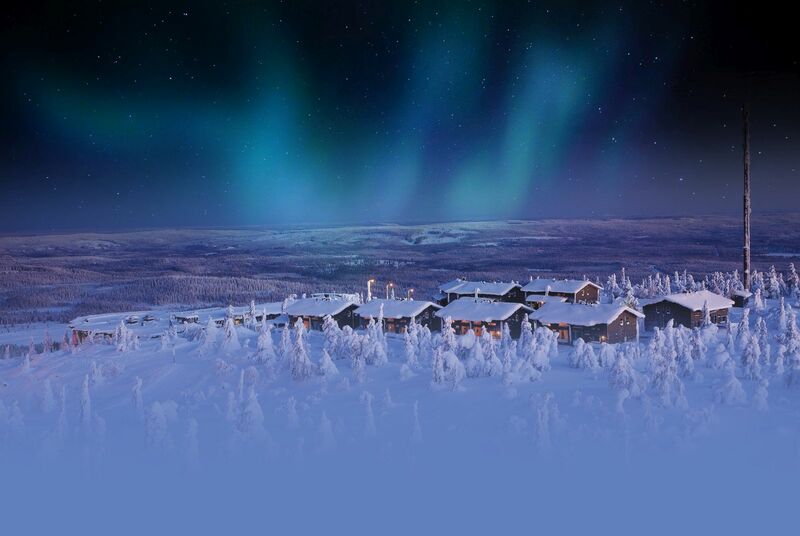 Apart from being a beautiful hotel, Lapland is the closest place you’ll get to a real-life winter wonderland. 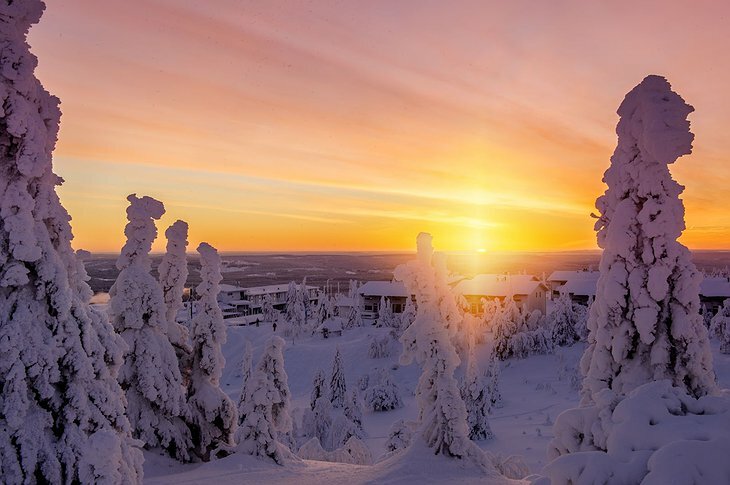 Lapland is Finland’s northernmost region and is known for its vast subarctic wilderness, ski resorts and natural phenomena including the midnight sun and the Northern Lights. 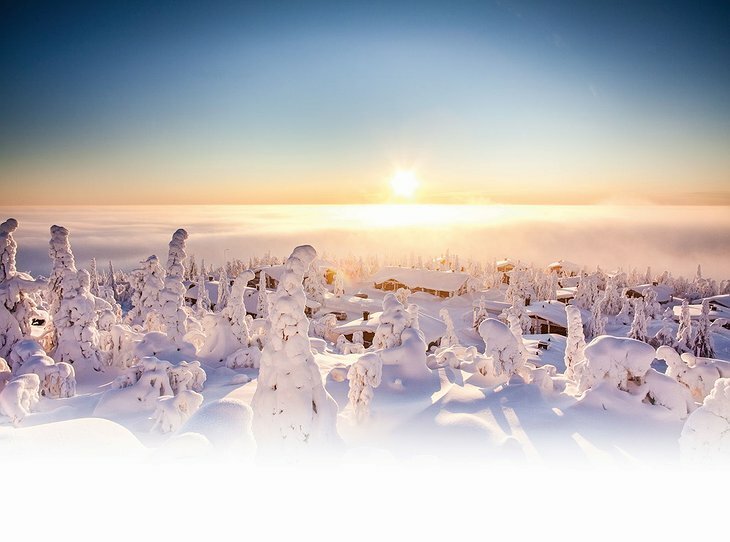 Iso-Syote is the southernmost fell in Finland and is adjacent to the Syote National Park. 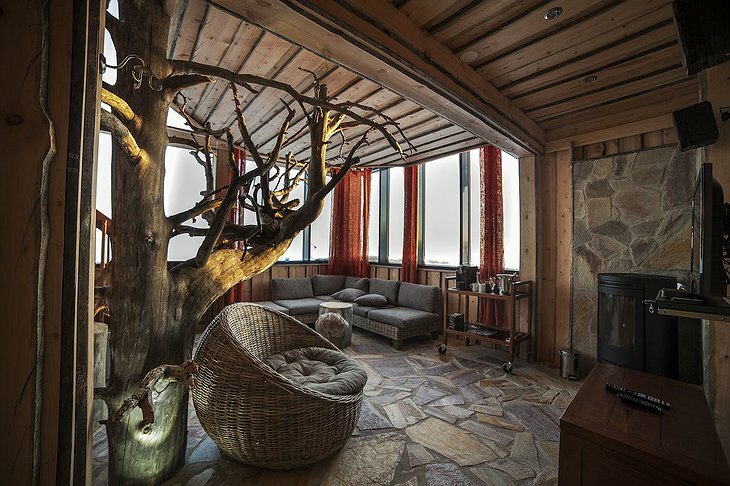 Hotel Iso Syote is not just a hotel, but a Safari-hotel! Situated on the top of a hill, there is a stunning panoramic view over the surrounding forests, lakes and nature areas no matter where you are on the property. 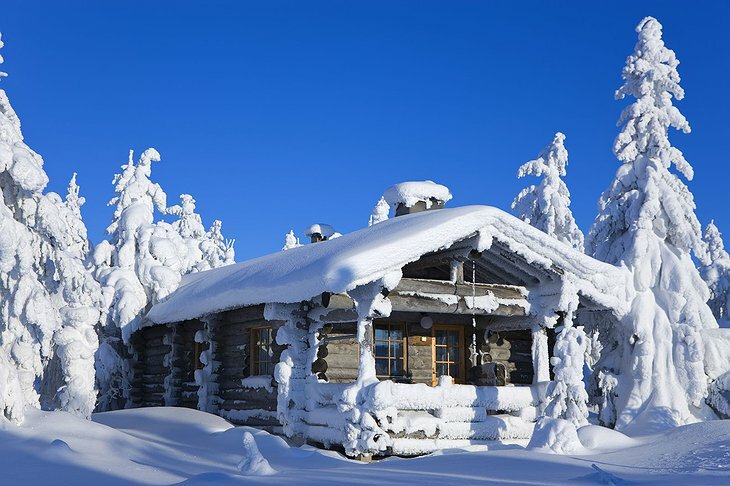 The Iso Syote is a great place to explore, whether by snowmobile, husky sled, reindeer rides, snowshoe, or skiing. 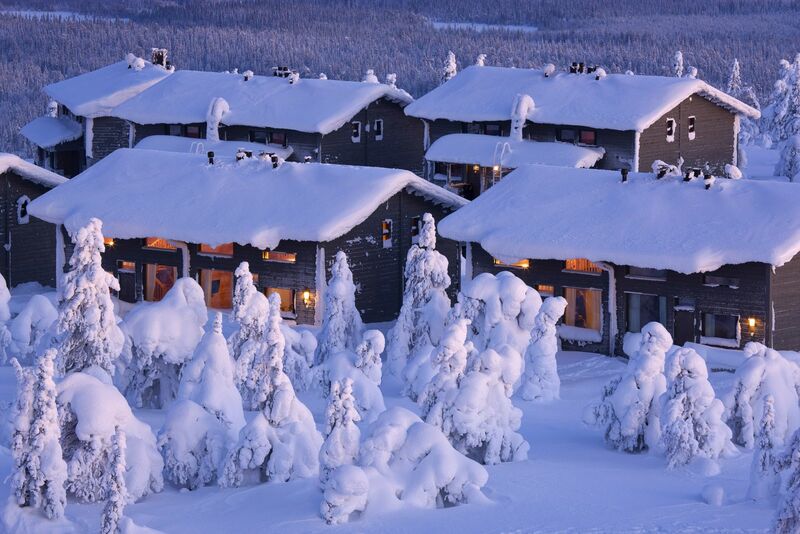 The hotel offers a variety of programs for guests to participate in from snowshoe hikes to ice-fishing excursions! Activities in the summertime include river rafting and nordic walking tours. 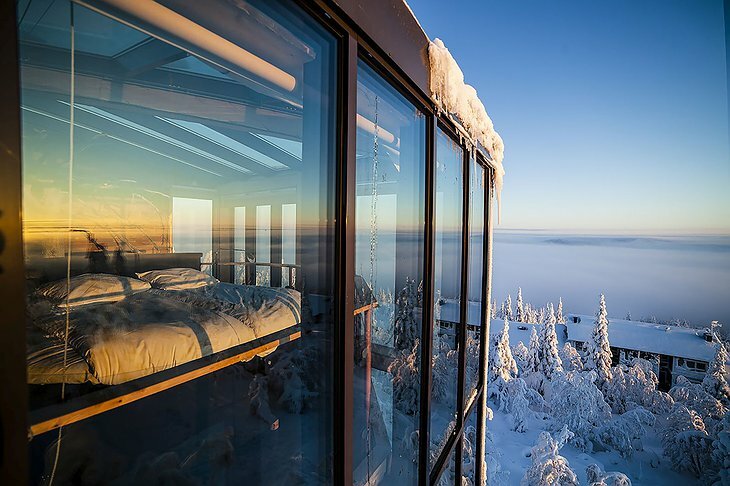 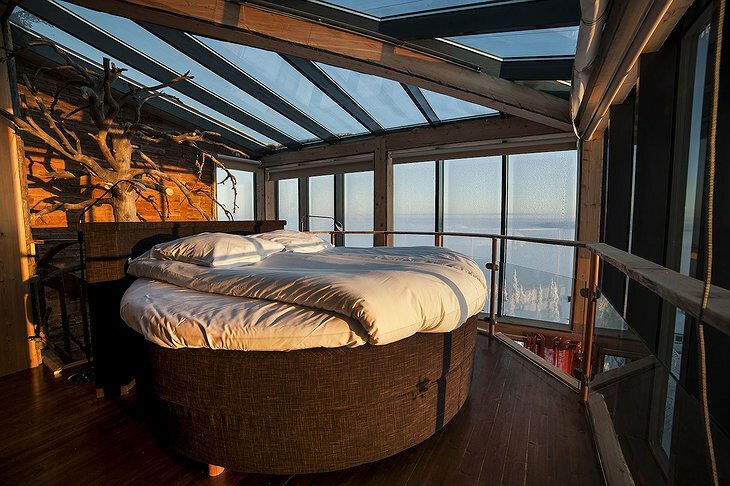 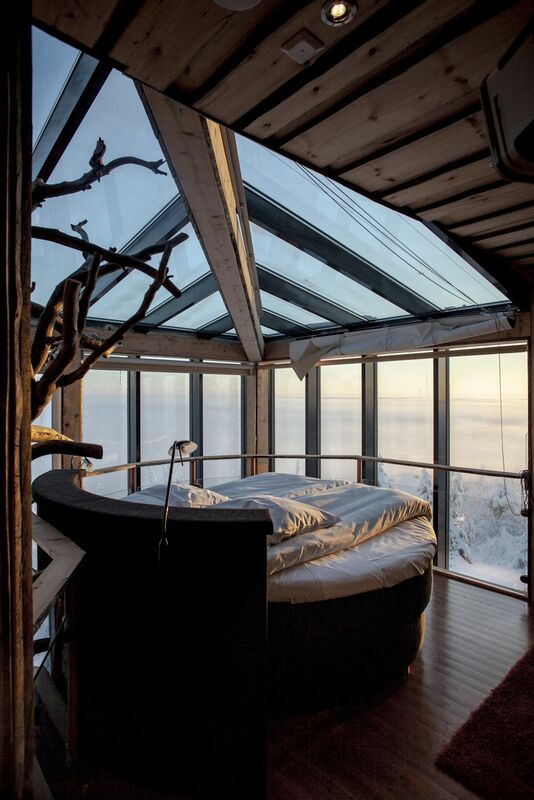 There are 20 rooms at the Iso Syote Hotel, all with excellent views of the surrounding forest and valleys. 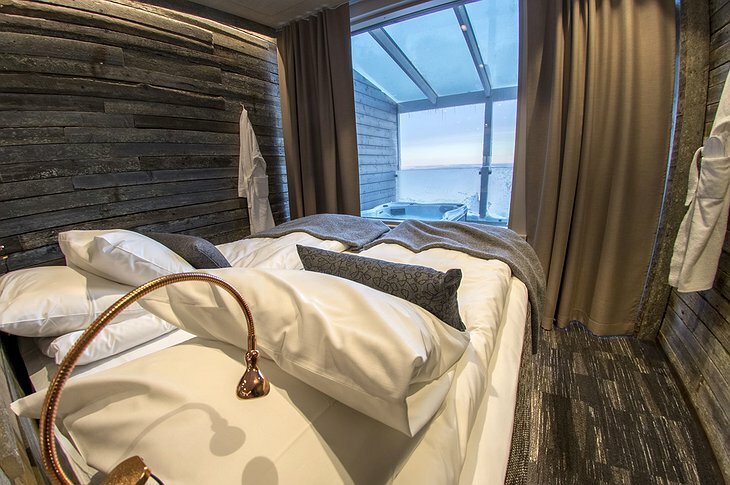 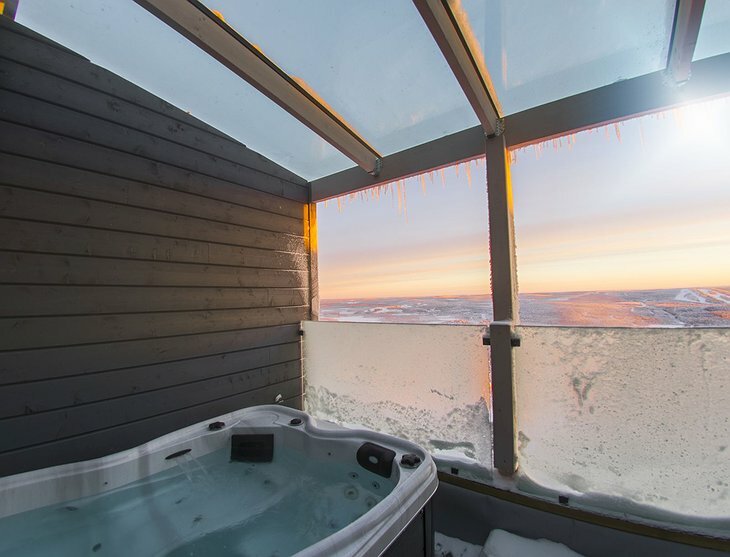 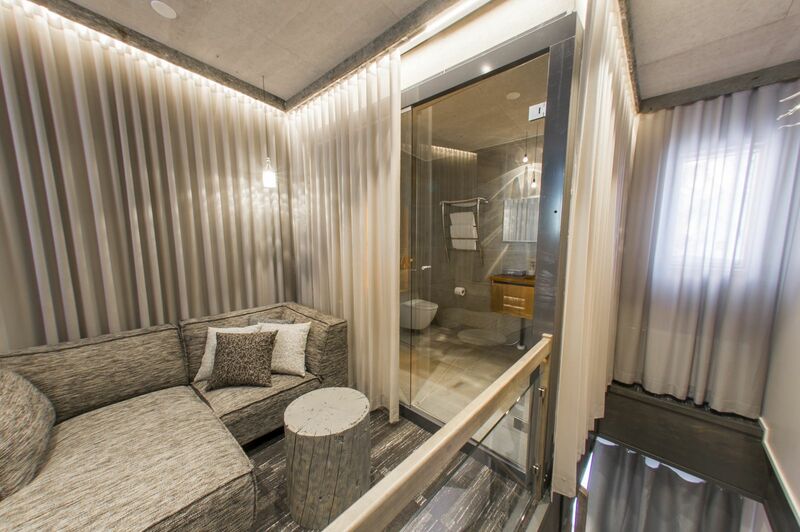 If you care to have an even more luxurious stay, splurge for one of the 10 Aurora View Suites, which all include a private sauna and jacuzzi. If you’re traveling with a large group of people, there are also cottages you can choose from as well.